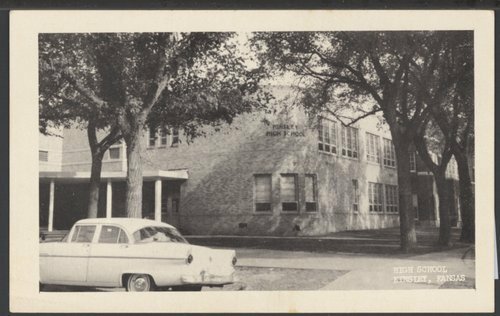 A postcard showing Kinsley High School in Kinsley, Kansas. It was built and completed in 1943 after a fire destroyed the main building of the previous school. At the extreme right in this postcard, is the gym which was built in 1922. It was not destroyed in the 1941 fire.